There’s lots to do all year round at Ships & Castles, the spectacular glass-roofed building up on Pendennis headland. With a leisure pool, a fully equipped fitness suite and fitness studio it’s the place to go for fitness and fun. 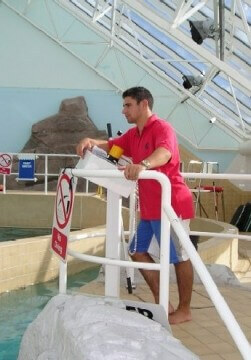 Open daily for family fun with a wave machine which brings the thrills of the ocean indoors, whatever the weather. 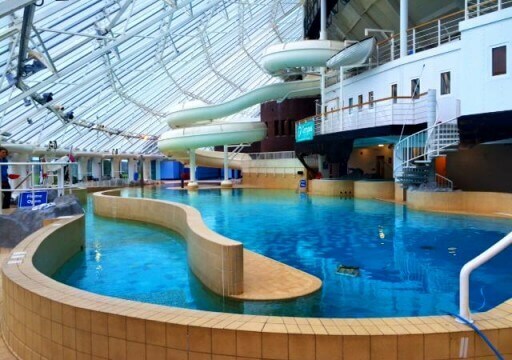 With a river run that sweeps you around the pool, a thrilling 70 metre flume, spa pools, geysers, bubble mats and a large shallow area for the little ones. The pool is also open for flat water public sessions for those that prefer a more traditional swim. Check the time table on Ships & Castles website for fun sessions and all other special pool events. Fitness suite and studio are open to visitors for short-term memberships.